Yesterday afternoon I went to the first Feria de Alimentos de Madrid y Cerveza Artesanal, with over 100 different types of beer. 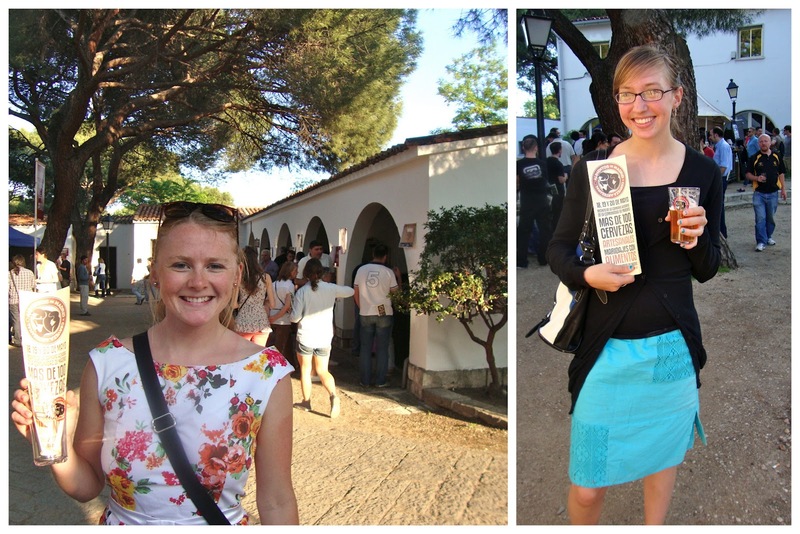 Spain doesn't have much variety in beer, so this event was a breath of fresh air for the taste buds! When you enter, what most do is pay 5 euro to receive a glass, guide, and a coupon for one free consumption. Then using that glass at all of the booths, you can buy different beers from 2 - 4 euros. I think that if you don't buy the glass you can still buy bottles of beer at the booths, but it will cost more than 2 euros (don't quote me on this!). If you get hungry, or feel yourself getting a little fuzzy in the head, there were many local food options as well. Mini hamburgers for 1.75, sausages for 3 euros, little desserts and pastries for .50, cheeses, tapas. And the guide tells you which foods you should eat with each type of beer! It was a really enjoyable afternoon, and the event is taking place all weekend. It's open until 10pm today so it's not too late to go!